In May 2011, Yousef Jameel, working with the School of Global Affairs and Public Policy (GAPP), initiated the Yousef Jameel Public Leadership Fellowship Program, with the overall objective of building the capacity of young competent Egyptian nationals in the areas of public policy and public administration, and preparing them for leadership roles in Egypt after the January 25 Revolution. By supporting 300 fellows in 12 cohorts of 25 Egyptian graduate students per year, the Yousef Jameel Public Leadership Program will have contributed to creating a cadre of well educated, competent graduates ready to take on the responsibility of affecting change in the Egyptian society. Minimum GPA of 3.2 or a rating of Gayed Geddan. 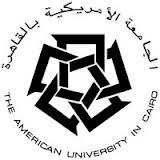 Satisfy AUC graduate admissions requirements, including submission of AUC graduate application, needed documents, and any needed additional exams as per AUC's graduate admissions requirements. Submit an International TOEFL IBT exam score or an IELTS exam score as per the cut-off scores for AUC graduate admissions. Minimum of 2 and a maximum of 12 years of relevant professional work experience after receiving their bachelor's degree, preferably in public, nonprofit or international development organizations. Download and submit the graduate application form at the Student Service Center, AUC New Cairo. Complete and submit the online fellowship application. Applicants to the Masters in Journalism and Mass Communication should also take the required Graduate Record Examinations (GRE) Score at AmidEast Center.